Tony (Product Director and General Manager of our Cape Town office) recently visited The Greenhouse at Cellars-Hohenort Hotel for an evening of food and wine pairing. The theme was ‘Life and death of trees’. 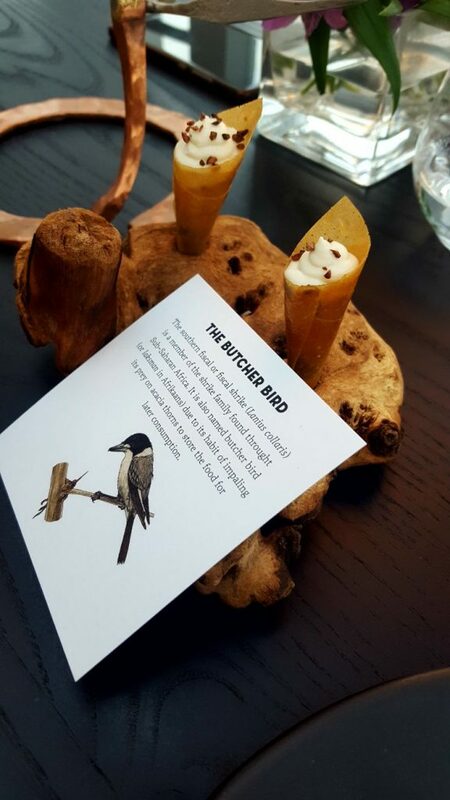 There’s been a lot of hype recently around The Greenhouse’s 9-course tasting menu. 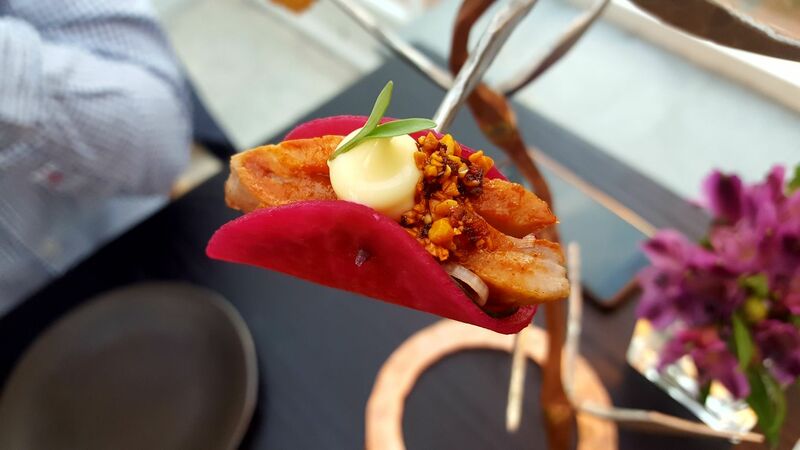 They’ve taken the route of incorporating unique aspects of South Africa, and the tasting menus are inspired by the bountiful local produce and diverse cultures of the country. The journey takes you from the sea to garden and from fields to orchards. The flavours of each dish are delicate however you continually get little bursts of intense flavour that keep surprising you. Tony said “Each course is a ‘theatre’ and the staff provide you with a detailed overview of the dish and how it was conceptualised, as well as providing context on what you are about to sample. As an example, the first course arrived which was a bowl, containing a raw prawn placed on a stone, surrounded by seaweed. Unbeknownst to anyone, below the stone sat a 400 degree Celsius hot rock. The waitress then poured water around the seaweed and you hear the water starting to instantly boil and create steam. A glass dome is then placed over the bowl and you watch as the prawn slowly turns from a translucent grey, to a vibrant pink. 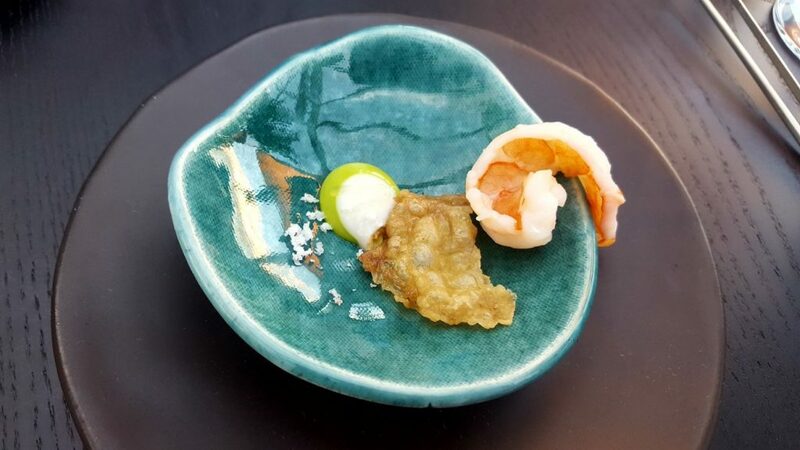 It started with the sea, and combined with this delicious prawn dish was a snoek (local fish) dip, curried octopus, and a sago prawn mayonnaise. All the flavours complement one another amazingly well. Each dish has been thought about in detail – all combined to provide delicate yet complex flavours and textures, all perfectly balanced. This is all ‘designed’ by the amazing (and famed) chef, Peter Tempelhoff. The tasting menu is expertly paired with superb wines which complement each dish.